Adhan (Azaan) (أَذَان) is the Islamic call to prayer, recited by the muezzin. The root of the word is ʼḏn "to permit", and another derivative of this word is uḏun, meaning "ear." Adhan is called out by the muezzin from a minaret of a mosque five times a day summoning Muslims for fard (mandatory) salah (prayers). There is a second call known as iqama that summons Muslims to line up for the beginning of the prayers. 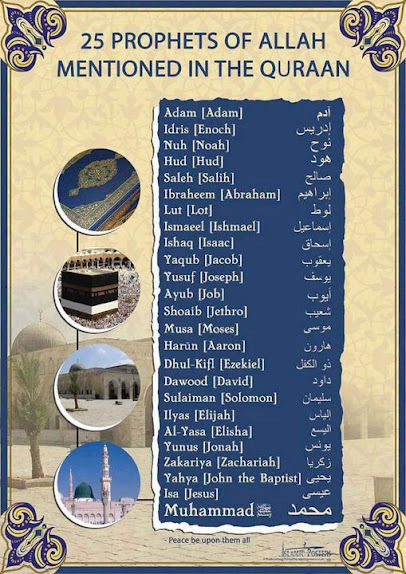 What Prophets are named in the Qur'an? 1. According to a saying of our beloved Prophet Muhammad, peace be upon him, there were about 124,000 Prophets, peace be upon them, sent to various nations and tribes throughout history, the last and the final Prophet being Prophet Muhammad, peace be upon him. 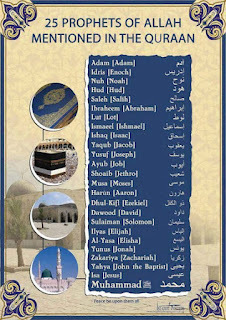 Only 25 of these Prophets have been mentioned in the Holy Qur'an, and they have been listed above in reverse chronological order as is the tradition. 2. The Holy Prophet Muhammad, may Allah's blessings and peace be upon him, is also mentioned in the Holy Qur'an by many attributive names as given in Asma' un Nabi, Sallallahu 'alayhi wa Sallam. Islam teaches that God has sent prophets to humanity, in different times and places, to communicate His message. Since the beginning of time, God has sent His guidance through these chosen people. They were human beings who taught the people around them about faith in One Almighty God, and how to walk on the path of righteousness. Some prophets also revealed God's Word through books of revelation. Muslims believe that all prophets gave guidance and instruction to their people about how to properly worship God and live their lives. Since God is One, His message has been one and the same throughout time. In essence, all prophets taught the message of Islam - to find peace in your life through submission to the One Almighty Creator; to believe in God and to follow His guidance. 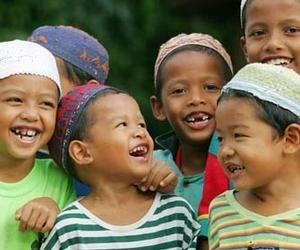 Every born baby is a Muslim. 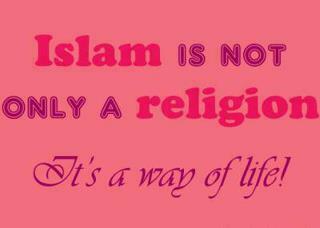 Islam is the religion of all Prophets, Adam to Muhammad. Children are not born out of any sin, original, inherited or derived. 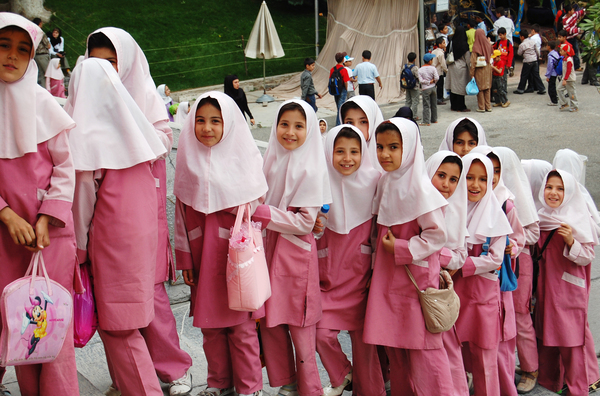 They are born on the religion of their nature, i.e., Islam. The Creativity of Creatures they so Tiny and so Gigantic. Where n is all integers even human being can define or left UN-define. How sun never moved a fraction or millimeter else Earth may burnt with all living creatures on it. Why you can not see other creatures Jins,Angel,Devil unless HIS Will. Soul is also bound but independent of media and resources a body always in need of. in a simple cell there are million of things we can not yet discover or feel or can see. And there is so much we can write and speak about. 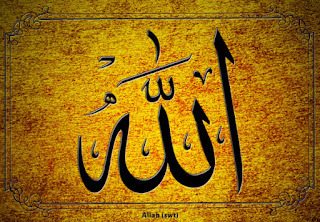 And this is and that was and that will be ONLY ALLAH/GOD. Word sent to Human being started from Hazrat Adam RA. and ended on Muhammad PBUH. And God created this all Universe to show HIS might and His Creativity to Mankind. In all times He sent his Blessed people they were called Messengers Peace be Upon them all. A religion show and taught us brotherhood and Peace and above all understanding to the final truth with all miracles and logic s and proves. Seek is ours and paths are HIS. So Seek the knowledge till than you face the death is HIS order and our believe. We will not say a word from yourself but whats written. 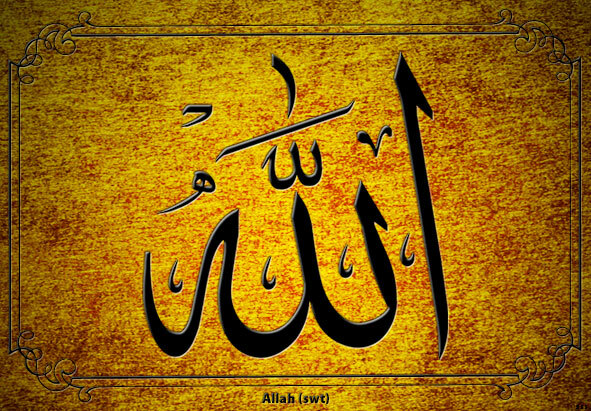 And Allah is Merciful and beneficent and He will forgive all people who will follow the right path revealed on early Messengers if They are true believer and have understanding of Unity of Allah and understanding to his commandments. 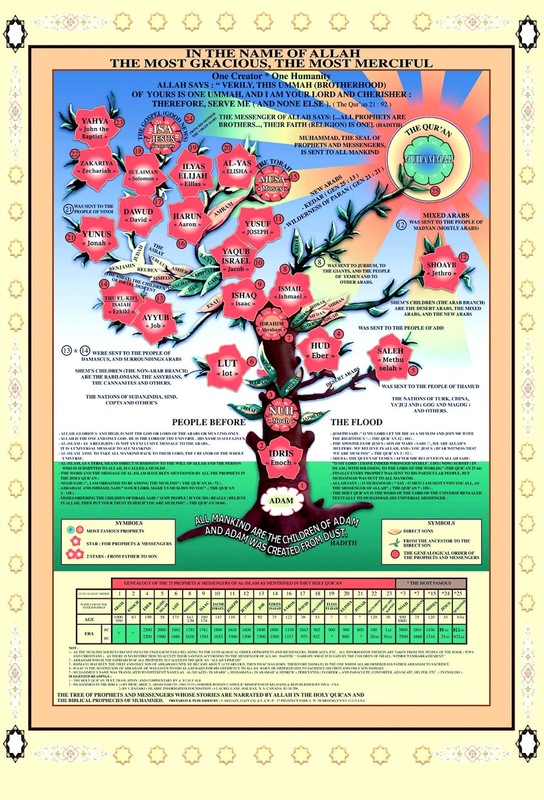 With the passage of time these commandments was changes as a language change after a time with natural disasters as well all messages was for a specific time. so There is a final Alarm and a final message for all mankind and we are responsible to share it to all mankind with peace and understanding. These Symbols and messages and ways are nudges and hints to take you to the truth. Truth was always there but its us human beings who try to ignore or change it But This final version can never be changed because its a full stop for mankind as Allah completed this message of revelations to mankind. And know He will bring all humankind for the Final Examination. The Final Test from every soul. All creatures fascinates us like creation of this universe and creation of human being and this gigantic universe which we can not even describe in words or units of solar year or speed of light. O Allah(عز وجل﻿) You are Creator and What a Wonder Full Creator you are. Our Words can not describe your creativity and Your Might and Your Wisdom and We are so limited and You are Limitless and We are blessed with a soul that's Part of You and You made us superior of all creators and our all life and words and all efforts can never show how Merciful and beneficent You are to us and All creatures. Words Allah sent to Man kind in all scriptures and Especially the final and Last Word Holy Quran. So many Chapters explaining creativity of these tiny and gigantic creatures. Might is for Allah. Wisdom is for Allah and Source of all knowledge blessed is from Allah. He is the One and Only One He was and He will remain when no one will be. HE bestowed us with His bounties and Blessing through journey of all life and this is us who forget and stay ignorant to all blessing around us. And when we have to face a hard time we repent. 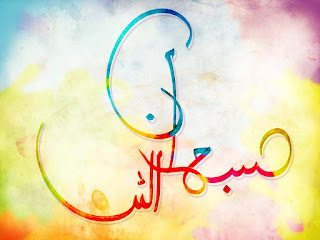 and Ask for Forgiveness and ALLAH being Merciful and Beneficent forgive us and Protect us. Miracles are always around us this is who do not seek for the path and truth. Allah bless us with this blessing of wisdom when we strive for it and seek it our life. He is The Only Creator. 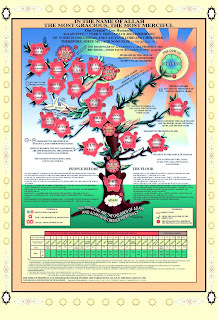 Created all universe and all creatures and wonders and gems and seas and universe and light and darkness and blessing and bounties for all those people who can see these signs and seek the knowledge and wisdom for this life. With Faith one day they will have to raise to in front of Allah with all there deeds and actions and have to return with all actions they did in this life. I felt these Videos so fascinating and wonders of this world we are living with to share with all. 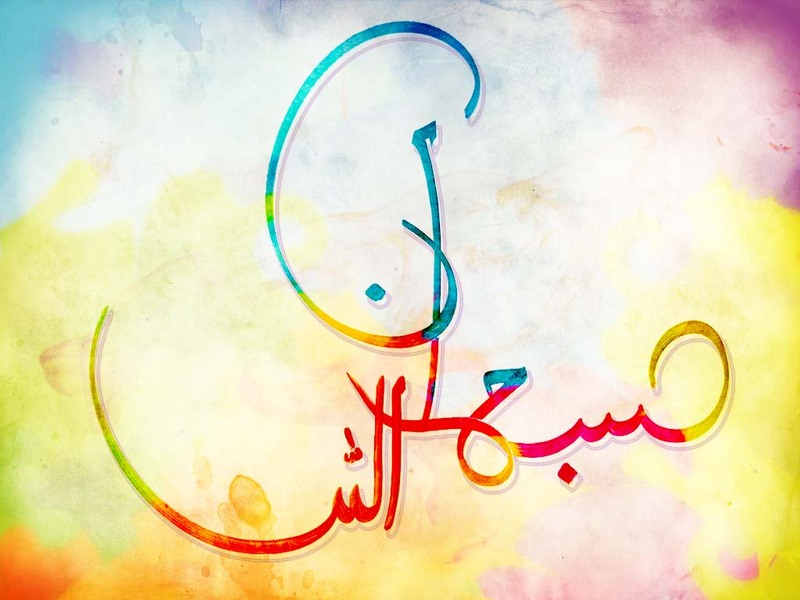 So we will keep Praising ALLAH with all words and ways and actions He Taught us. He Said Read and First Word of Holy Quran from Hazrat Jibrael RA was Read to Human Kind. So read and seek the wisdom and knowledge spread around for all good and understanding and admittance. We always do a pray He will take us and keep us on Sirat-e-Mustaqeem. One of the benefits of being a working parent with a young child is that you have are constantly forced to stop and look at the basic teachings of life. Each evening I am obliged to read a little story to my young son (one of my nicest duties in life). Sometimes they are beautiful, sometimes funny stories, often with a little (or big) life message that I probably benefit more from than my son. 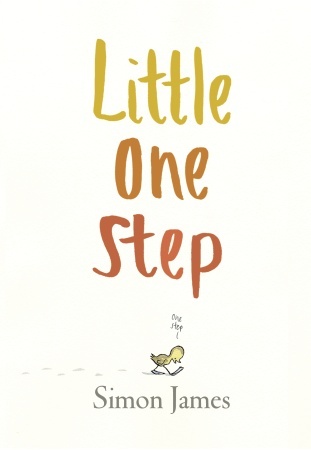 One of my favourite books that I happened across is 'Little One Step' by Simon James. It tells the story of a little duckling out for a walk with his bigger siblings. 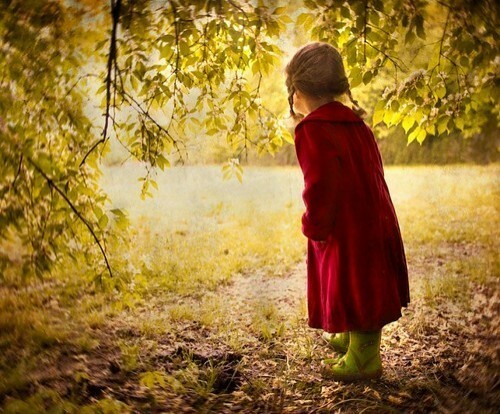 He has to walk through a wood to get home, and each time he stops and looks at the tall dark trees he is afraid, but his siblings teach him to just concentrate on taking a 'little one step', and then another, and then another. Before he knows it he is home, feeling very proud of himself! Simon James also wrote 'Baby Brains', which I stumbled upon this week. Completely different, but very amusing! 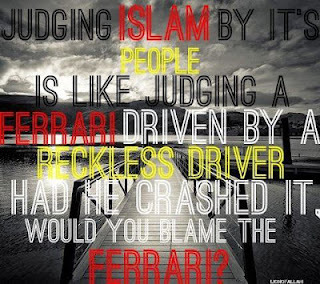 Please DO NOT judge Islam by the behavior of the Muslims; instead, judge Muslims by the behavior of the Qur'an! Study and learn what is Islam, who is Allah, who is Muhammad peace be upon him, and what is the message of God to all of Humanity. O God I can not express my gratitude! People with sad faces and ill but still so hopeful for getting healthy and gay face. I was thinking like does that matters the color or skin or how perfect we are or intellectual we are? No nothing matters. Even we always looking for a perfect face with perfect features but our harmony with the soul comes first. Like you will feel in comfort with very few friends even they do not get perfect or even wealthy but they world of inner self is far away from the world of perfection and even imagination and fantasy. All our life we kept on merging both but we never get a remedy for it and when nothing left we keep on fixing all we did to our self and others. Try not to suppress worldly perfections to the inner world you have. 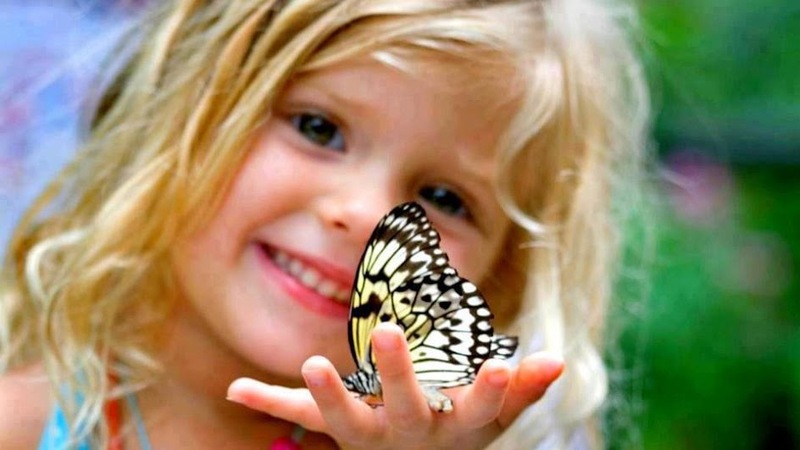 And neither be fanatic stay on ground and still your heart will feel and beat and you can still breath and still you can have the people who make your life so beautiful charming and worth living. All you need to remove the dust of times that clutter your inner-self. God says only matters how much a person is close to me and when you are going to love something or a person it should be due to me so none of us follow it and still being a believer believe that this life will be blessed one with the one we loved due to any future. But only matters when you believe on divine and word of Allah Almighty. There is no doubt in Holy Quran so lets begin with the Way it want us to follow. At least change the way you think your life as well for people and try to change the way you think. Things can never change without any actions or without any change as even turning on a light we need an effort and to change. We have to put a little effort with faith. Produce ideas and do propagate them. Let people (think and live)out of the box and let them make their ideas a reality. Dream is divine but reality is walk from decline to elevation for zenith. Protocols should not only for government officials but for all walks of people. On government level nominate and acknowledge people with worth those who are performing valuable work for health,education and humanity and bringing improvement in society by means possible. Media and government and people have to start changing the way they live and think and present to public. Inside and outside should be same and we have to workout to make them identical. Many actions are actually reactions of few actions. To get some attention or to get fame or to get rid of some comments someone have to face daily. Sometimes a society makes standards and people follow them blindly either named as status or honor etc. TV stations can put any advertisement on any channel without gagging the impact on a society or viewers. PEMRA should play role and should have courage to perform measures and reforms. We do not make the words of actions to perform in reality in all department of a system. This is Era of bloodshed and if we look around we will see a terrible lost of human life. The only reason is to capture the resources of a country/territory anyways possible. A common person or a person part of lower middle class in developing country is under huge psychological and economic pressure as well the country itself. Leadership of these countries is not capable enough to have a way out of this bigger game to take these countries to boom. All times a ruler or a person in power have a dream to keep his governess for as long as possible above the justification of his rule and how well he ruled on the people of that land in his arena. This media will teach us undercover of programs that human being happiness is a new technology and a new piece of cloth or jewel of world and a new connection and palace and to score a goal or putting your opponent down or scoring and touching peak or sky diving and shocking dresses,kits,shoes,products,games etc and hence a huge list of desires a human can do ... Basically they are making us think that this is called a desire like things. And this life we are living is nothing but desires in every moment we should live it live and fully like this is the only norm you will hear as its going on from decades of decades. We laugh on zombies and clones apparently but we never analyze the life we are living is the one we laugh in a movie. This life the temporary one is a very beautiful delusion of all illusion being spread and being taught. According to Islam this life is the time or the gap between Azaan(Call for Prayer) and Namaz/Prayer congregation. Years of years we follow people and things and all return us with nothing. But Honestly unless we define it well all went in vain straightaway the restless struggle of all life and what result we get. Its never late. Now or never. We have to get the track the right one and Above all our all relationship and decision are and should be only for the sake of Almighty Allah. This is the only reality we have to make it clear now or a decade later or more than that time. But when we know it things become so easier to understand and pile of work and issue UN-settled get resolved because Now you have not a person or goal of your own but You are working for Allah Almighty and when He help you. One do not need any helping hand. Sahih al-Bukhari (Arabic: صحيح البخاري‎), as it is commonly referred to, is one of the six canonical hadith collections of Islam. These prophetic traditions, or hadith, were collected by the Persian Muslim scholar Muhammad ibn Ismail al-Bukhari, after being transmitted orally for generations. Muslims view this as one of the three most trusted collections of hadith along with Sahih Muslim and al-Muwatta. In some circles, it is considered the most authentic book after the Quran. The Arabic word sahih translates as authentic or correct. Sahih Muslim (Arabic: صحيح مسلم, Sahih Muslim, full title Al-Musnadu Al-Sahihu bi Naklil Adli) is one of the Six major collections of the hadith in Sunni Islam, oral traditions relating to the words and deeds of the Islamic Prophet Muhammad SAW. It is the second most authentic hadith collection after Sahih Al-Bukhari, and is highly acclaimed by Muslims all over the world. It was collected by Muslim ibn al-Hajjaj, also known as Imam Muslim. Sahih translates as authentic or correct. For download click on required link. What Quran says about Quran? Below are some good Islamic names for boys. Some people can find the issue of naming a Muslim baby puzzling. For one thing, some people wonder if a Muslim name must be an Arabic name (it doesn't have to be). 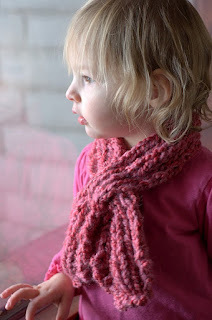 Secondly, converts sometimes wonder if they have to change their names, and they also have difficulty sometimes choosing a baby name, partly because they may not understand the meanings of Arabic names, and of course they may not have all the Muslim relatives to name their babies after like some Muslims do. Another issue is that some cultures have the practice of giving a child two or more given names, which would not be appropriate according to the Islamic naming system. In Islam, the child is given one name, then the second name is the father's name or family name, and the third name is the grandfather's name or family name. (I won't get into Kunyas and geographical attributions - you can read some of the articles below for details on those). In reality it's simple. A Muslim name should have a good meaning. It should not have a negative connotation, and should not relate to a false deity or an un-Islamic practice. It does not have to be an Arabic name, but in practice many Islamic names are Arabic because of their sources. For example, the Quran is a wonderful source for good names, as are the names of all the Prophets, the names of the Sahabah, and the names of Allah (with "Abd" in front). Omeir Long living Ossama One of the names of the lion. Below are some good Islamic names for girls. Some people find the issue of naming a Muslim baby confusing. For one thing, some people wonder if a Muslim name must be an Arabic name. Secondly, converts sometimes wonder if they have to change their names, and they also have difficulty sometimes choosing a baby name, partly because they may not understand the meanings of Arabic names, and of course they probably don't have many Muslim relatives to name their babies after like some Muslims do. Another issue is that some cultures have the practice of giving a child two or more given names, when in Islam we do not do that. The child is given one name, then the second name is the father's name or family name, and the third name is the grandfather's name or family name. (Kunyas and geographical attributions are another matter). So let's keep it simple. A Muslim name should have a good meaning. It should not have a negative connotation, and should not relate to a false deity or an un-Islamic practice. It does not have to be an Arabic name, but in practice many Islamic names are Arabic because of their sources. For example, the Quran is a wonderful source for good names, as are the names of all the Prophets, the names of the Sahabah, and the names of Allah (with "Abd" in front). Where is our Humanity ? 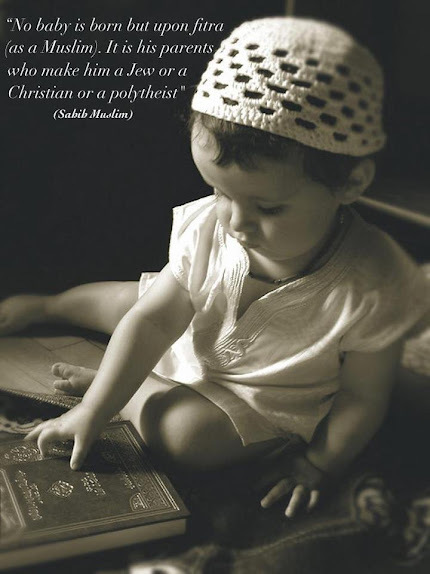 A Muslim, Not a Sunni or Shia.